The psychotropic, antiemetic, analgesic, and anticonvulsant properties of Cannabis plants have been known since the third millennium BC. Cannabinoids target two cell receptors: the central cannabinoid receptor CB1 and the peri­pheral cannabinoid receptor CB2. 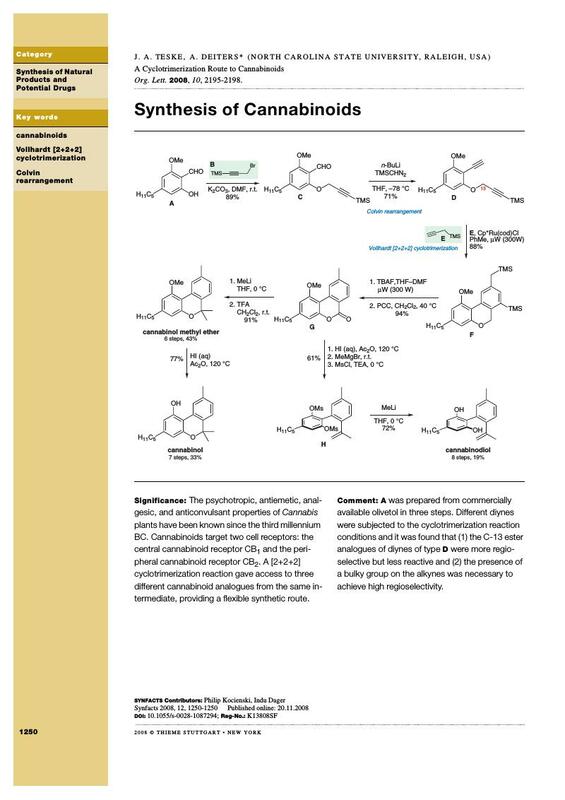 A [2+2+2] cyclo­trimerization reaction gave access to three different cannabinoid analogues from the same intermediate, providing a flexible synthetic route.